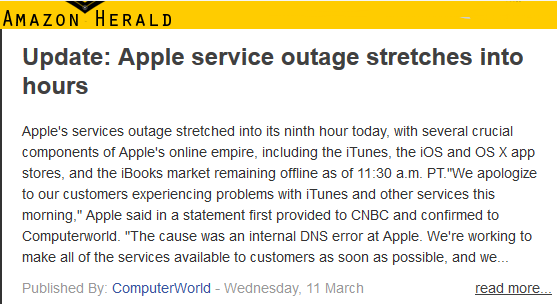 As Computerworld reported mid-March, an 11-hour outage affected Apple's online services, including iTunes, the iOS and OSX app stores and iBooks market service. Earlier that day, iCloud services were also affected. 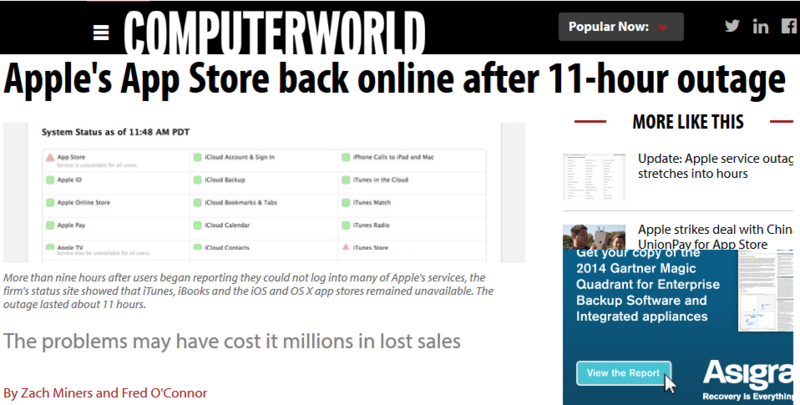 According to Computerworld, relying on press reports, was "an internal DNS error at Apple."